If you know anything about internet marketing then you will know that blogging is perhaps one of the most important techniques to employ. In fact; companies that do not blog find it very difficult to get noticed in the vast world of the internet. I won’t dive into the reasons as to why. There are plenty of in-depth guides out there that you can take a peek at. What I want to discuss however is why WordPress would be the ideal blogging platform for you. First and foremost; WordPress has been around for an age. Many of the biggest websites in the world actually use WordPress as their ‘back bone’. Why? Well; because it is secure. It is very difficult to crack into WordPress, and if somebody manages to ‘hack’ the system, the security flaw tends to be patched within days, if not hours. There is no other blogging platform out there which gets this much support. 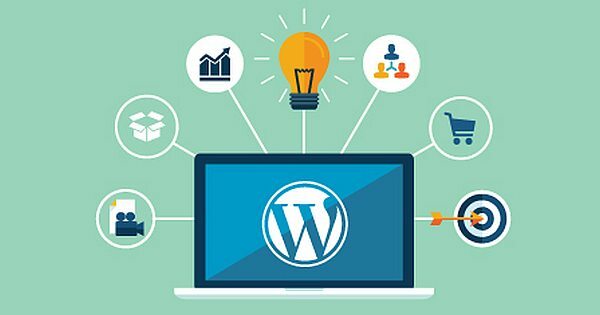 If you have a blog using WordPress then you can bet your bottom dollar that each and every piece of your information will be safe. WordPress has a very active developer community too. WordPress is completely open source. This means that anybody can dive into it and change the code. This has resulted in a number of people out there designing some rather fantastic features for WordPress. These features are known as ‘Plugins’. They are simple to install too. All you need to do is to log into your WordPress admin panel, click the install plugin link, and search through the thousands upon thousands of plugins that are available. Once you have found the one you want you just click ‘install’ and you are done. The whole process is completely ‘fool proof’. This is one of the greatest assets of WordPress. You can basically craft any site that you want without too much hassle at all. There are very few blogging platforms out there that allow you to do this. Not only this; but you can change up the look of your site in very much the same way. It is a case of browsing through the thousands of templates available through the platform, click a couple of links, and you are done. You truly can create your own website without too much hassle at all! Finally; WordPress is easy to use. The majority of people who jump into the world of blogging really do not have a clue about how to use blogging platforms. This can lead to them making mistakes and the like. You do not have to worry about that with WordPress. Everything is so simple. If you have ever used a system such as Microsoft Word then you will know how to write a post on WordPress. If you know how to use the internet, and you must do since you are reading this page, then you will know how to edit a few of the settings available to you on WordPress with no hassle at all.